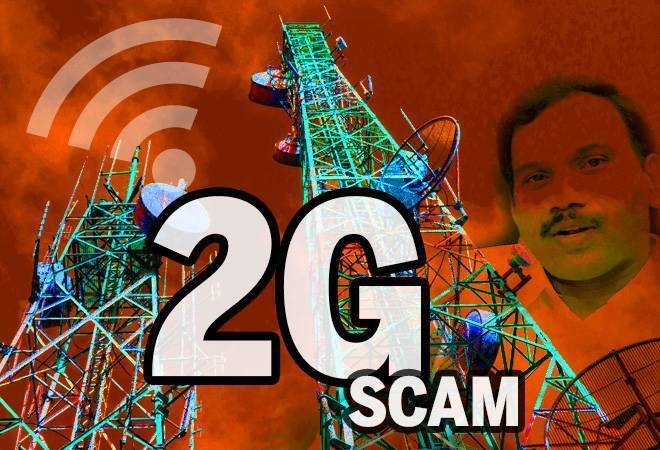 The CBI today told the Delhi High Court that the 2G spectrum case allegedly involving former telecom minister A Raja, DMK MP Kanimozhi and others was "a case of monumental loss and a shame to the nation". Challenging the acquittal of the DMK leaders and others, Additional Solicitor General Tushar Mehta told a bench of Justice S P Garg that huge loss to the public exchequer has been caused due to the spectrum allocation scam. "This is a case of monumental loss and a shame to the nation," Mehta said. The ASG also opposed the plea of the accused seeking more time to file their response saying "delaying tactics" were being adopted by them to prolong the proceedings. The High Court has now posted the CBI's plea challenging their acquittal by a special court in the 2G spectrum case for August 2 while the Enforcement Directorate's (ED) plea has been fixed for August 6. During the hearing, lawyers for some of the accused in the case said that a number of charge sheets have been filed in these cases and they should be heard separately. The high court had earlier issued notices to Raja, Knimozhi and others on the CBI's plea challenging their acquittal by a special court in the 2G spectrum case. A similar order was passed by Justice Garg on the plea of the ED challenging their acquittal in the money laundering case arising out of the 2G scam case. The court had also allowed the interim plea of the ED for maintaining status quo with regard to the properties worth around Rs 223 crore which the agency had attached in the money laundering case. The ED did not want the properties to be released from attachment, a consequence of the acquittal in the money laundering case, saying that third party rights might be created in them. On March 19, the ED moved the high court challenging the special court's order acquitting all the accused in the money laundering case arising out of the 2G scam. Yesterday, the CBI too challenged in the high court the acquittal of the accused in the case. A special court on December 21 last year had acquitted Raja, Kanimozhi and others in the CBI and ED cases. Besides Raja and Kanimozhi, the special court had acquitted 17 others, including DMK supremo M Karunanidhi's wife Dayalu Ammal, Shahid Balwa and Vinod Goenka of STPL, Asif Balwa and Rajiv Aggarwal of Kusegaon Fruits and Vegetables Pvt Ltd, film producer Karim Morani, P Amirtham and Sharad Kumar, Director of Kalaignar TV in the ED case. The ED, in its charge sheet, had alleged that Rs 200 crore was paid by Swan Telecom (P) Ltd (STPL) promoters to DMK-run Kalaignar TV. On the same day, the trial court had acquitted Raja, Kanimozhi and 15 others, including former Telecom Secretary Siddharth Behura, Raja's erstwhile private secretary R K Chandolia, Swan Telecom promoters Shahid Usman Balwa and Vinod Goenka, Unitech Ltd MD Sanjay Chandra and three top executives of Reliance Anil Dhirubhai Ambani Group (RADAG) -- Gautam Doshi, Surendra Pipara and Hari Nair, in the CBI's 2G case. The CBI had alleged that there was a loss of Rs 30,984 crore to the exchequer in allocation of licences for the 2G spectrum which were scrapped by the top court on February 2, 2012. Special Judge O P Saini, however, had held that the prosecution had "miserably failed" to prove the charges. The first case, prosecuted by CBI, had 17 accused, while the second matter, pursued by ED, had 19 undertrials. The third one had eight accused including Essar promoters. In the CBI case, Raja, Kanimozhi and 15 others were tried under provisions of the IPC and the Prevention of Corruption Act dealing with offences of criminal conspiracy, cheating, forgery among others.